Generally speaking, when there's a high-profile new handset, the folks at iFixit will take it apart to show us its guts. The OnePlus 6 is one such device. OnePlus's new notched beauty came out on the other side of the procedure with a pretty down-the-middle score of 5 out of 10. 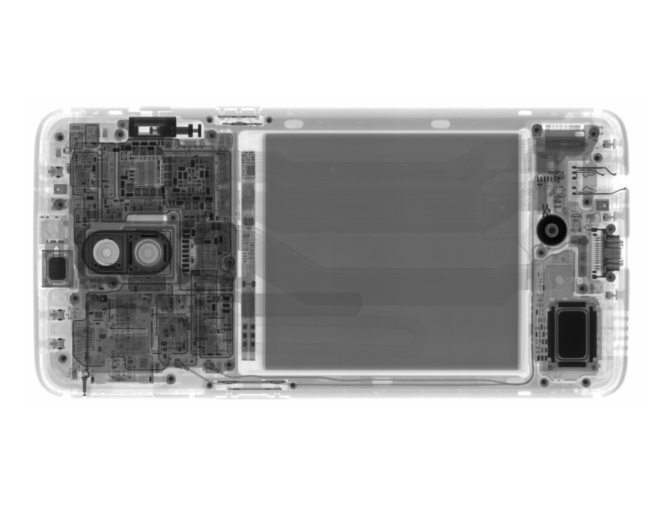 Interesting insights before the phone is even opened: x-ray imagery provided to iFixit by Creative Electron shows pretty standard-looking internals for a 2018 smartphone — except the strangely large moving parts inside the alert slider. Check out that big piston-looking thing at the top-left. Despite an English-language warning that cautions "battery is not removable," it is, in fact, quite removable: the 3,300 mAh power plant pulls away from minimal adhesive pretty easily with the help of a big, green pull tab. The pull tab seems to go against the battery's warning that it's not removable. Despite its lack of a proper IP water resistance rating, iFixit did find some waterproofing measures inside the OnePlus 6: silicone gaskets surround a number of key components, so the device should at least live up to OnePlus's claims that it's splash-proof. 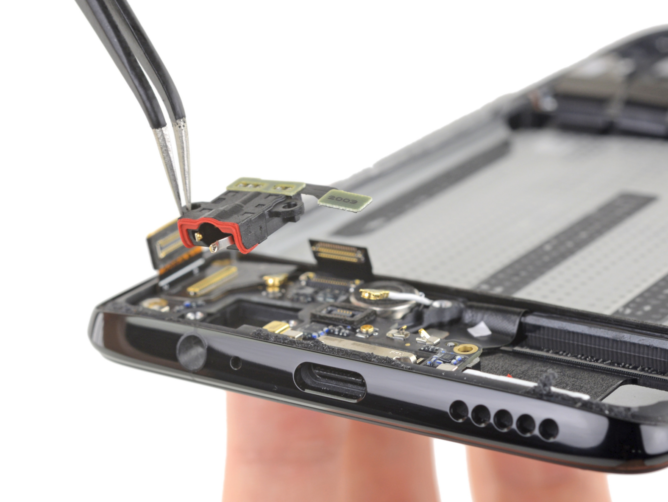 IFixit praises OnePlus's use of gaskets rather than "goo," which was a sticking point (heh) in the Galaxy S9+ teardown. The amount of adhesive OnePlus has on the screen's OLED panel is a problem — iFixit says it probably can't be removed without damaging it (but points out it probably won't be removed unless it's already damaged anyway). That and the choice of a glass back with no real function were iFixit's primary complaints, although they were pleased with the use of standard Philips screws throughout the device and the relative ease with which many components, including the battery, can be removed. With its score of 5 out of 10, the OnePlus 6 bests the Galaxy S9+, which scored a mediocre 4 out of 10, but falls just short of the Pixel 2 XL, which earned a 6 out of 10. Head over to iFixit for their full assessment.